Family–owned and –operated on Stearns Wharf since 1981, Nature’s Own Gallery is featuring a 500 million-year-old Trilobite fossil plate this month. After almost 33 years on Stearns Wharf, Nature’s Own features shells, fossils, minerals, jewelry and gifts from around the world. 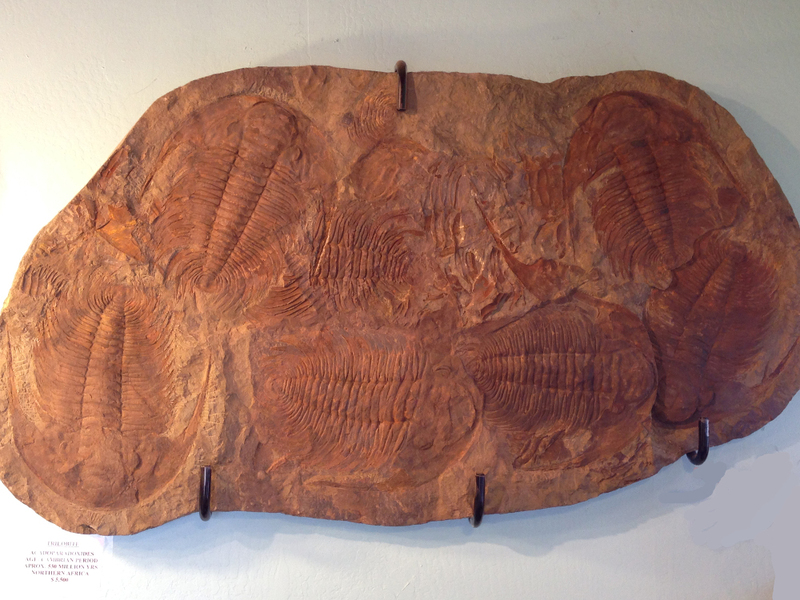 The Trilobite fossil is from the Middle Cambrian era and records the Cambrian explosion, before which only soft-bodied animals such as worms and jelly fish existed. Many forms of trilobites came and went during the Paleozoic Era with their extinction marking the end of the Paleozoic Era. The fossil is from the Jbel Wawrmast Formation (Tissafinian Stage) and shows Acadoparadoxides briareus, according to Jon Marshall, whose parents opened the shop when the wharf reopened in 1981. Click on the picture to view in enlarged format. Mr. Marshall now co-owns the shop with his siblings. Their children have started working at the shop and are now the third generation of Santa Barbarans to work at Nature’s Own. Mr. Marshall owns two shops on Stearns Wharf: Nature’s Own Gallery with his brother, Jim Marshall, and sister, Judi Bruskin, and Devil & the Deep Blue Sea. The shop also features a new line of fossils, amethyst geodes and unique jewelry pieces. Nature’s Own Gallery is the place to go to find that gift for the person that has everything.